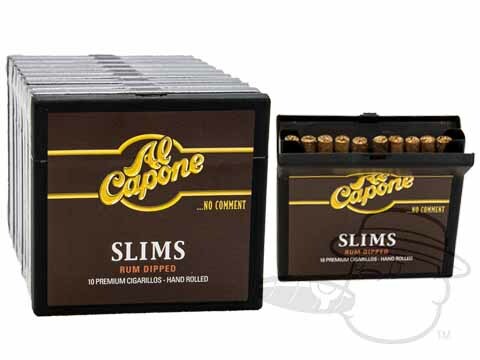 The Al Capone Cigars journey begins in Sao Felix, Brazil, where carefully selected tobacco seeds are planted in the rich soils of the Bahia countryside. 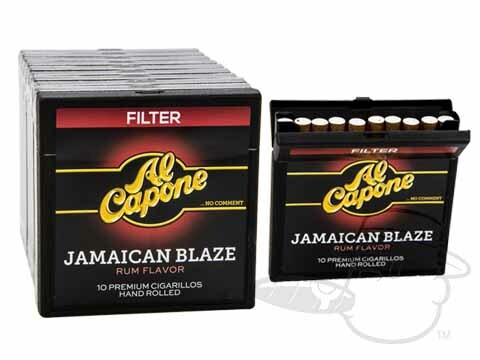 The plants are closely monitored and tended to until they’ve matured into the flavorful leaves that lend Al Capone cigars their rich character. 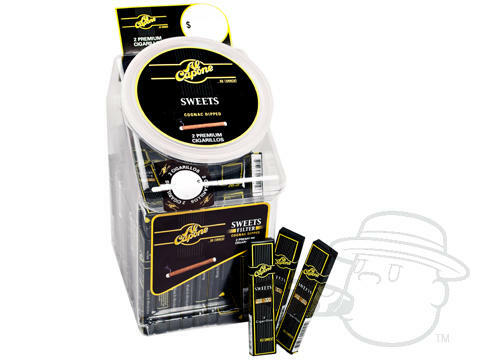 Once harvested, these leaves are naturally air cured and then sorted for rolling. 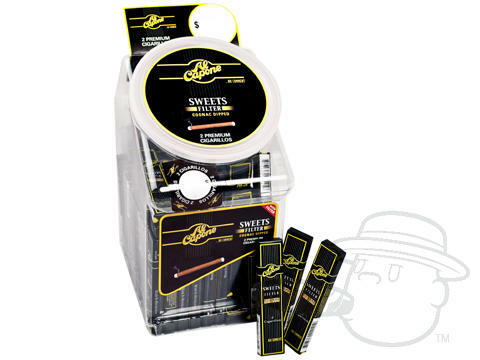 Finally, skilled cigar rollers in Danli, Honduras apply their magic touch to create the straight-burning premium Al Capone cigarillos that we know and love. 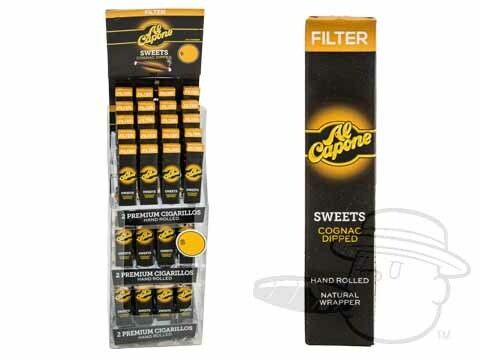 Al Capone Cigars filtered provide the smoker with an effortlessly smooth and rewarding dose of daily satisfaction, while their non-filtered offerings deliver the exceptionally rich flavor of premium tobaccos in bold, uncompromising fashion. 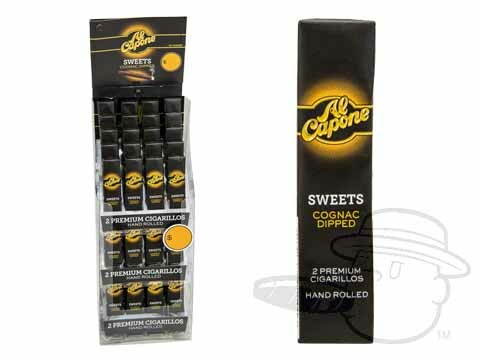 Al Capone cigarillos, carrying flavors such as Sweets Cognac and Rum-dipped, offer a tasty twist on traditional cigars with an extra dose of robust flavor. 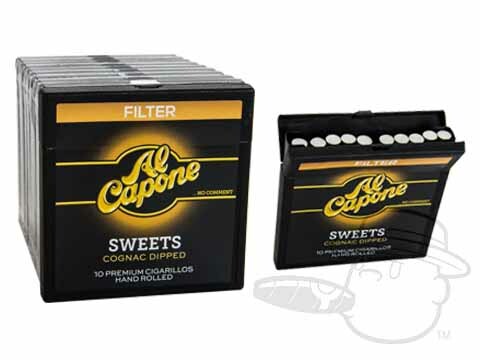 These aromatic small cigars are some of the Al Capone cigar company’s most popular and best-selling. 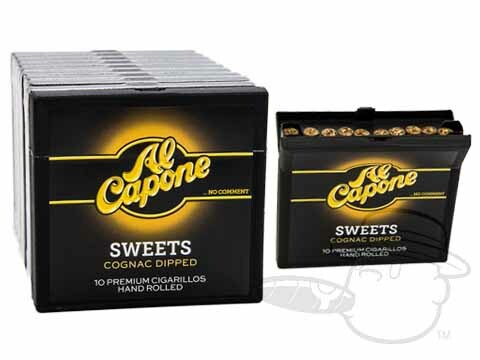 Inexpensive and sweet, Al Capone cigars appeal to a wide audience of cigar smokers with a range of tastes and flavor preferences. 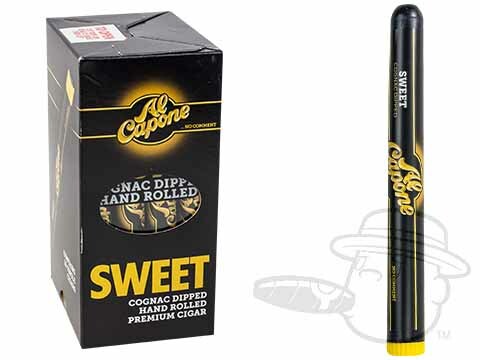 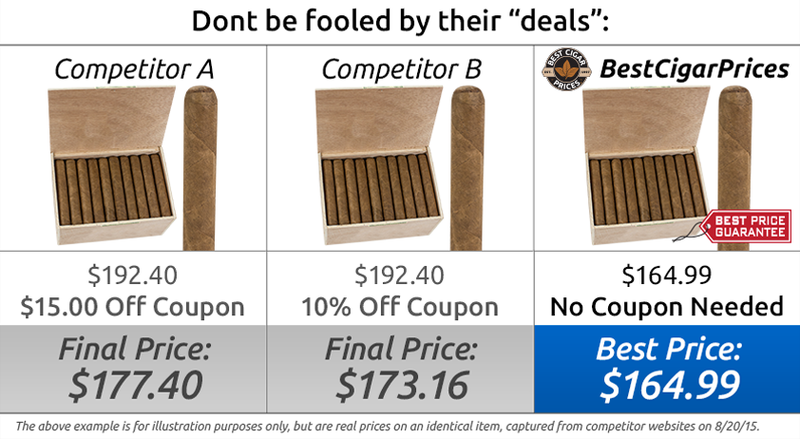 Best Cigar Prices offers a great selection of Al Capone cigars cigarillos at the lowest prices online.